Backyard ponds are magical. There are so many different things that can be done with a backyard pond… A backyard pond is a great place to create your own educational ecosystem. Additionally, a backyard pond can be a great home to showcase your exotic plant life. You can improve the ambiance of your existing backyard pond by adding one or two backyard water features. A back yard pond is an exotic accessory to any landscape, it encourages the positive vibrations common to feng shui landscape and is great for hosting intimate or family events. With a backyard pond, your objective should be to enhance the existing natural resources. A backyard pond is the ideal home for many species of animals, fish, and plants. Creating an ecosystem with your own backyard pond is not a far-fetched idea. Basically, an eco system is the way an environment and the various residents of that environment interact with each other. If you take a closer look at your pond, you may find that an ecosystem may already exist. In any case, one option that can be considered is introducing some goldfish to your garden pond. Goldfish come in a variety of sizes, shapes, and colors. One thing to keep in mind when opting to stock your fish pond with fish is to make sure your selection of fish is compatible with each other. Remember, fish do eat other fish. Another great idea for your garden pond is the introduction of exotic plant life . There are so many choices of plants that thrive in a watery environment, like a fish pond. Plants for ponds can be the kind that develops roots underneath the water’s surface and the plant itself sits above or on top of the water. Plants like these include water lilies or even arrowheads.  You can also introduce plant life to your backyard pond whose dual purpose is to regulate and maintain the oxygen levels of your backyard pond, while still beautifying. These types of plants keep the water transparent and clean. There are even some plants that are completely free floating, like water lettuce . Water fountains are a great complement to backyard ponds. There’s just about every size and shape of water fountains available on the market. 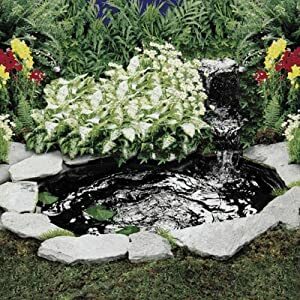 You can opt for a whole dramatic water fountain kit or a really small elegant component that moves the water in your backyard pond ever so slightly and gently. The decision on the style or type of water fountain is entirely yours. The biggest benefit of using or introducing a water fountain to your backyard pond is the fact that it encourages movement in the water. According to feng shui, stagnant water attracts negative not positive energy and creates an unhealthy environment. A backyard pond adds amazing ambiance to any property. People of all ages find that they are positively affected by backyard ponds. It is an ideal environment for many species of animals, fish, and plants. It can be a source of education as its self contained ecosystem begins to thrive. Not to mention, there is great enchantment and whimsy to be had with a functional backyard pond.